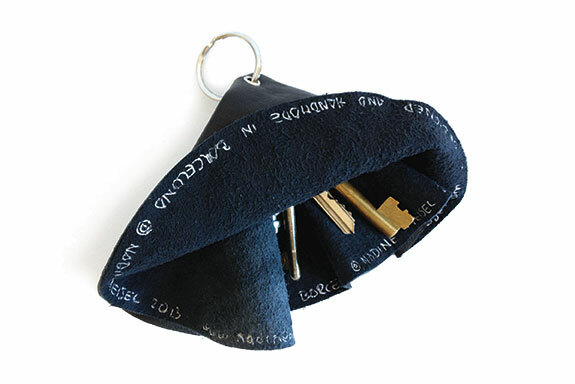 KEY CHARMER is an elegant and handy keychain that is easy on your hand and easy on your pocket. 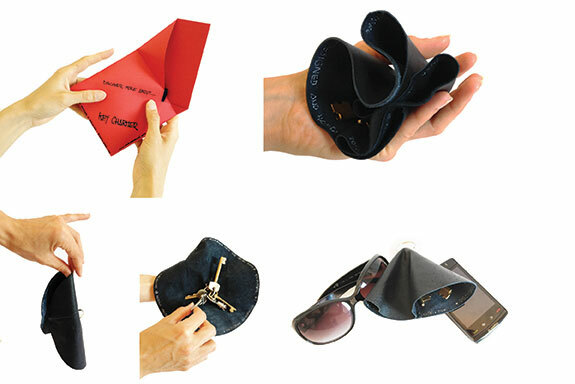 Soft leather covers your keys to protect clothes, bags or other items such as cell phones, glasses or car doors from damage. 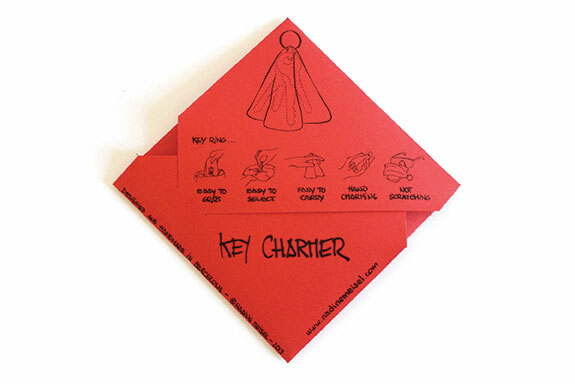 See the video about key charmer in use. The interior has the following handwritten inscription “Designed and handmade in Barcelona – Nadine Meisel 2013 – www.nadinemeisel.com and the designer’s signature.